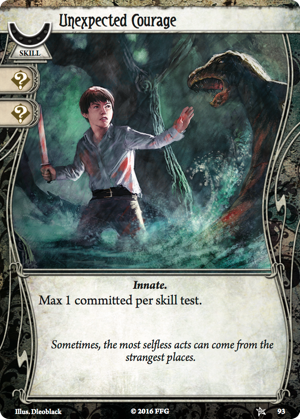 An Introduction to Arkham Horror » The Shadow Archive - Analyzing and Creating some of Fantasy Flight Games' Living Card Games. Focuses on Star Wars, Lord of the Rings, and Call of Cthulhu/Arkham Horror. Welcome to Arkham, a small city defined by its successful ivy-league university and its antique flair. Yet beneath the veneer of normalcy, things are not as they seem in this town. Horrors lurk just off the coast, beneath the streets, and sometimes even in the very minds of those seeking to understand the universe. For this is HP Lovecraft’s world, where the unknown is terrifying and the line between science and magic dangerously thin. If anyone is going to uncover the mysteries surrounding Arkham, and seek to stop the powers of ancient alien gods and their unspeakable cults, it’s going to be the precious few intrepid (and sometimes unwilling) investigators played and given agency by you and your friends. Can you solve the mystery before dark agendas fulfill their evil purpose? This game follows in the footsteps of the wildly popular Lord of the Rings: the Card Game, the first cooperative card game of its kind. 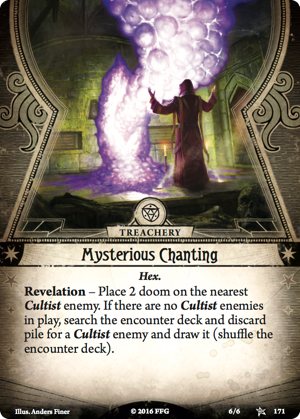 However, while Lord of the Rings focuses on bringing a group of heroes together to complete a single challenging quest, Arkham Horror takes a different direction: each quest is merely a piece of the larger puzzle, and the results of one quest will determine much of how your future investigations will go. This is a campaign game first and foremost, taking queues from the rich tradition of tabletop roleplaying games and encouraging players to improve their character after each investigation. Gone are many trappings of a card game, where you attempt to play your cards in an optimal sequence to defeat the enemies and treacheries coming off the encounter deck: now you play as a character, using your cards merely as resources to perform the actions you’ll need to discover clues, evade or defeat monsters, and ultimately unveil the mystery taking place among the unique locations that define Lovecraft’s precisely-constructed Arkham. You enjoy cooperative games in which you need teamwork, strategy, and luck to advance your investigation. You enjoy building decks based around themes or strategies that might change from campaign to campaign. You want to play a game that prioritizes its narrative first and foremost, making each game and each decision affect the flow of the story. You want to experience a Lovecraftian game true to the source material, in which you’re not charged with saving the world (usually). You want to feel the thrill of creating a character and improving them from quest to quest, further customizing them as you play through a campaign. You want to experience a vast wealth of original Lovecraftian experiences played out in a game on the tabletop. If any of these sound like you, stick around for an introduction of the game, mechanics, and play experience as picked up from multiple demo games at GenCon and a brief perusal of the Rules Reference Guide. This game takes many influences from classic roleplaying games, the first of which comes in how players play the game. Each player will take on the role of an investigator, and will build a deck for that investigator featuring cards from the investigator’s classes. 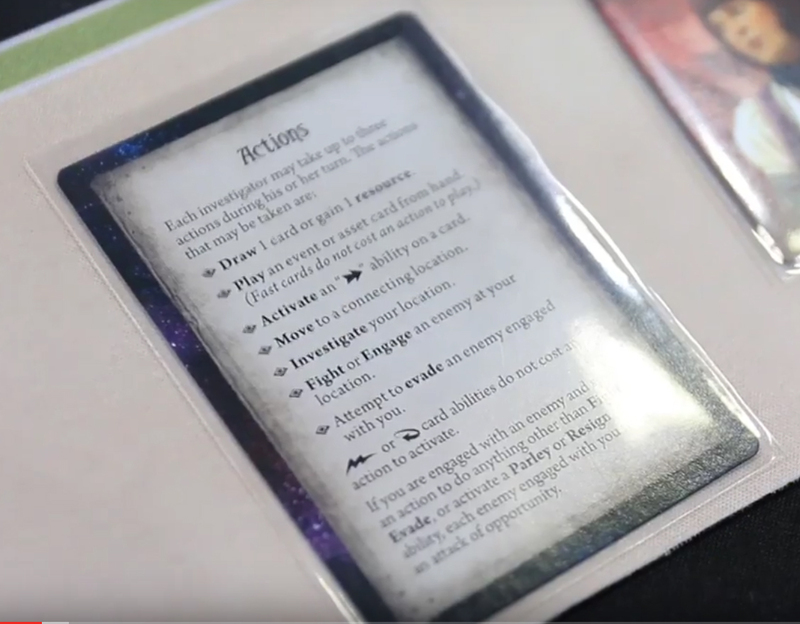 Out of the core set, each investigator will have two “classes,” each class being a category of player cards similar to factions, affiliations, and spheres in other games. While each investigator can use cards from both their classes, you’ll find that one of those classes comes to them more naturally and they have access to more powerful cards in that class. For example, Wendy Adams can include any Survivor cards she wants in her deck, that being her primary class, but she can only include Rogue cards of levels 0-2. While she can use any Rogue cards she wants in the beginning, she’ll never be allowed to use the most powerful Rogue cards. This gives lots of deckbuilding flexibility while tempering the maximum power level available to a character by limiting their access to the most powerful cards in the game. You’ll notice that I referred to cards as having a certain “level.” Because this game embraces its RPG roots, it ranks cards on a power scale from zero to five. When an investigator begins their first scenario, they cannot include any cards in their deck above level zero: they’re just starting out, and have no experience with which to improve. However, while resolving each scenario, they’ll gain experience points just like in an RPG and will be able to spend those points to exchange cards in their deck for new ones or to upgrade some of the cards they might have. A few cards in the game come in multiple versions, usually a level 0 version and a higher level version that either does more or is more efficient. A player cannot have more than 2 copies of any card (by name) in their deck, but they may choose to upgrade the cards they have from the weaker version to the more powerful version, which requires they spend experience equal to the difference of the two cards. Alternatively they may wish to exchange a card that wasn’t as effective as they thought, or which they only needed for a particular scenario, for a more powerful or flexible one. Even exchanging a level 0 card for another level 0 card costs 1 experience point, but buying a more powerful card normally costs experience equal to its level. Because each investigator’s deck must contain exactly 30 selected cards, any card purchased with experience must replace one already in the deck. These carefully-selected 30 card decks are then supplemented by unique, character-specific cards, which generally come in the form of a powerful signature card (a special item or skill) and a unique weakness based on that character’s backstory. These are all specially-designed to complement or oppose the investigator’s special abilities, often making them major pieces of their respective decks. For example, while Wendy’s Amulet provides a powerful recursion ability, its true strength comes in its interaction with Wendy’s ability herself, as it turns one of the chaos results (drawn during skill checks) into an automatic success once she has it equipped. Each investigator is also given a random Basic Weakness, which is like an encounter card seeded into your own deck, one which threatens to shut down your ability to carry out your strategy by doing things like stripping you of cards or resources. These weaknesses will compound throughout the game, making you pick up additional bad effects and add them to your deck to counter the increasing power of the cards you spent all that experience upgrading and acquiring. After all, while this game does make you a Lovecraftian hero, it wouldn’t be true to the source material if you weren’t also becoming crippled with fears, traumas, and other weaknesses that come from investigating such cosmic horror. Player cards in Arkham Horror are organized into three card types: assets, events, and skills. Assets and events are pretty comparable to what you might expect to see in other games: assets go on the table and give you a permanent benefit, while events do something potent and then go away. It’s important to note that this game functions the way Netrunner does, in that there’s an action economy at work: and playing events costs an action just like playing assets. While events are fairly straightforward, there’s a lot going on with assets. On the face value, you spend resources to put it into play and get the bonus: in the case of the Beat Cop, you get +1 Combat and can discard him to deal 1 damage to an enemy. However, not all assets are created equal, and some are mutually exclusive. In the lower right you’ll see a silhouette of a cloaked figure, an Ally who may be willing to aid you on your investigation. Some assets (not all) use up “slots” available to each investigator, and those slots are limited: each investigator has only 1 Accessory slot, 1 Ally slot, 1 Body slot, 2 Hand slots, and 2 Arcane slots. So if you call upon a Beat Cop to help your investigation, you’re unable to also have the loyalty of a Guard Dog. You’ll notice the lack of an “interrupt” option, and I did as well. Upon further inspection, it appears that Reactions that use the word “when” operate as interrupts: they occur just before the triggering condition resolves, while Reactions that use the word “after” operate as reactions, and occur after the triggering condition has finished resolving. This means that yes, when the Guard Dog takes his third point of damage he’ll still get to react before he dies. Neat! Finally, some assets have health and sanity values. This indicates the damage or horror they can take before they’re destroyed, something particularly important when you realize that damage or horror that you would take can be assigned to your assets. So while not every asset can take the hit for you, some can buffer your survivability by perishing in your stead. Note that an asset will be destroyed when it has lethal damage OR lethal horror, so the Beat Cop isn’t necessarily +2 HP and +2 Sanity, considering either one will remove it from the table. Then we have the final category of cards, skills. These have the most in common with Star Wars’s fate cards, as they’re special cards that do nothing except when they’re committed to a special test, at which they’re excellent. You’ll notice that all cards, including assets and events, have small icons beneath the cost/level indicator. During a skill test, investigators can commit cards from their hand to assist with that test, assuming the cards they commit have the appropriate icons. Each card adds its icons to your skill when making the test, so committing a Beat Cop to a combat test will give you +1 combat for the test. However, all other traits and text on the card is ignored… except in the case of skills. Skill cards can only be used to boost your stats during these tests, making them less flexible, but they give you +1 to +2 for that test and also give you a bonus reward if you succeed. I suspect that these skills (for which there’s a neutral for each characteristic that replaces itself if you succeed, and probably a special reward one in each class) will be ubiquitous and necessary for almost every deck, simply due to the fact that there will always be tests that you absolutely must pass. Unexpected Courage (which can be committed to any kind of skill test) seems like it’ll be an auto-include for quite a while. I’ve gone over deckbuilding and understanding player cards, but how does the actual game play out? This is where Arkham Horror is truly unique, as it plays unlike almost every other card game. The goal of the game is for the investigators to advance to the end of their sequence of Act cards before the encounter deck advances to the end of the Agenda cards. Like Lord of the Rings before it, which introduced the idea of a series of “story-defining” objectives that occur sequentially, it seems likely that there will be an average of 3 Agenda and Act cards for each quest, with varying amounts of progress (doom or clues) required to complete each one. As the Agendas advance, things will get more dire for the investigators, but as the Acts advance, the investigators get that much closer to victory. The encounter deck advances by placing doom on the current agenda. Generally that occurs at a rate of one per round, but as you can imagine there’re a number of encounter cards that are likely to speed that up. Sometimes it’s directly, via a card like Ancient Evils (Revelation – Place 1 doom on the current agenda. This can cause the agenda to advance), while sometimes it’ll be indirectly. Based on some of the cards that have been spoiled, it seems that doom will be placed on other cards, and as long as those cards remain in play their doom counts against the threshold, making the Acolyte an imminent, if manageable, threat. Meanwhile, the investigators attempt to work their way through their series of Acts by discovering clues. Those are discovered from locations, with each location spawning a set number of clues (usually X per player) that have to be discovered by investigators, well, investigating. This is done during the Investigation phase, which is when the players take their turns. Because it’s a cooperative game, they players can of course plan their strategy as much as they want, and to optimally fulfill that strategy they might need to change the order in which each investigator acts. There’s only one Lead Investigator for each quest (who has to make certain choices or suffer certain punishments), but from one round to the next any investigator can go first, second, or third. During an investigator’s turn, they don’t play cards the way you might in any other card game. Arkham Horror takes after Netrunner and cooperative board games by giving the investigators a list of actions to choose from, which they can use to carry out their best strategy. If they don’t have enough cards or resources, they can use one of their three actions to generate those, and they can use actions to play assets or events, but they can also do things like move to adjacent locations, attack or evade enemies, or investigate the location they’re currently at. This is how they discover clues, which will be turned in by the group as a whole to advance to the next act. Investigating, attacking, and evading are the three actions that generically require a skill check to accomplish. As a general rule, a player must successfully investigate to discover a clue at their location, which requires they test their intellect against the current location’s shroud. If they succeed, they discover 1 clue. If they fail, then they find nothing, having spent an action and possibly some of their cards futilely. Attacking enemies prompts a combat test (success deal 1 damage) and evading enemies prompts an agility test (success exhausts the enemy and disengages it from the investigator). Each skill test operates in the same way. The investigator first commits cards from their hand or uses abilities such as those found on Dig Deep to boost the appropriate characteristic, then they reach into the Chaos Bag and draw a chaos token, which will alter their characteristic’s value (usually negatively) and determine whether they succeed or not. The chaos bag is a particularly critical feature of Arkham Horror: the Card Game, because it brings into the equation a ubiquitous part of roleplaying games, from which this game draws much inspiration. Instead of rolling a die, Arkham Horror uses a unique chaos bag filled with tokens ranging from +1 to 0 to -1 to -4 and worse, plus several “special” tokens that are defined by the scenario and by the investigators. The elder sign takes the place of a “critical success,” a tentacle icon takes the place of a “critical failure,” and a number of unique symbols produce effects that vary from quest to quest… or even from difficulty to difficulty! The main reason to use a chaos bag over a die (other than swag factor) is that it allows each quest and each difficulty to behave differently. The game comes with four difficulties, and each one has a unique combination of chaos tokens that help define your campaign. For example, the Core Set campaign doesn’t include any tokens worse than -4 at normal difficulty, and has a single +1. If you want to attempt a Hard or Nightmare difficulty campaign, however, you’ll find the bag has no +1 tokens (and fewer 0s) and the concentration of high negative tokens gets higher, capping at the inclusion of a -8 token. 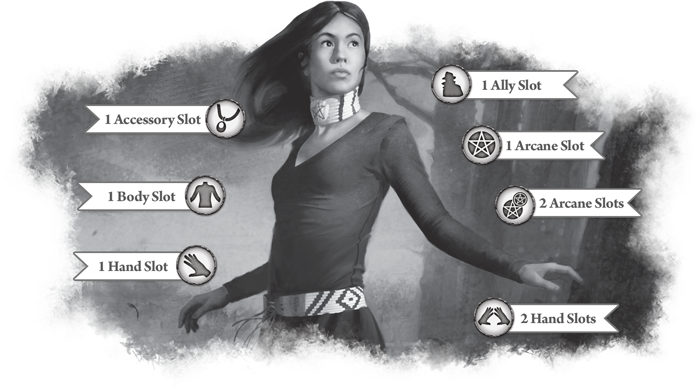 It also varies the number of special tokens, so while each special token is uniquely defined by the scenario, you might see a campaign with lots of skulls, or lots of cultists, or even include a fourth “Elder Thing” or “monster” token that might have yet another unique effect. Having a huge variety in the possible outcomes for a skill test is critical in making the game have a scaling difficulty and in having the quests and even campaigns feel very distinct from each other. It’s clear that the campaign out of the core set is almost impossible to complete on Nightmare difficulty with just the contents of two core sets, but by having it accessible for later, the inevitable power creep that comes with the growth of the card pool won’t make the original quests obsolete like what happened to many of the early Lord of the Rings quests. I look forward to playing these quests a lot, and expect each to feel different from each other, both within a single campaign and between campaigns. As stated, Arkham Horror is a campaign game first and foremost. This is in direct contrast to Lord of the Rings: the Card Game, which was designed as a game in which players were intended to play one quest at a time, often teching their decks to defeat that particular quest. However, after players received Lord of the Rings and made it abundantly clear that they both wanted to keep using the same deck from quest to quest, and that they wanted to play out the quests in sequence following the story that those quests were telling, it was clear that campaign rules were necessary. They were experimented with in The Hobbit Saga expansions and fleshed out for the Lord of the Rings Saga expansions, which allow players to play though the stories of both novels in a well-connected manner, but even boons and burdens were a fairly light veneer over an otherwise-standard sequence of quests. Being an inheritor of the roleplaying game tradition, Arkham Horror makes the choices made during one scenario dramatically important for future scenarios, making each campaign replayable even after you’ve already uncovered the story in previous playthroughs. The most obvious evolution of the campaign is in the basic fact that each scenario has multiple resolutions. Different things will happen whether the investigators, succeeded, failed, or resigned (or were all defeated), with potentially even more resolutions based on how well they succeeded/failed, or the manner in which they did so. This means that a campaign isn’t something that players are expected to play through over many weeks as the Lord of the Rings Saga campaign is, but rather something that the players could get through in a single several hour session… like an organized Game Day! When the players don’t have to re-play failed scenarios, they can get through a 3-quest campaign in a single sitting fairly easily, and it creates a certain verisimilitude that really drives home the story-first paradigm that Arkham Horror embraces. In roleplaying games and in Mythos literature, the investigators aren’t always successful, and being able to see many different consequences in different playthroughs of the campaign increases its replayability. The “experience” mechanic lets players earn experience from each scenario (regardless of outcome) and allows them to customize and improve their investigator’s deck much the way you might level up a roleplaying game character. It also revitalizes a feature introduced in Lord of the Rings that was largely abandoned by the player community, which is the idea of victory points. Because the community never cared much for calculating their “score” after completing a quest, the Victory Point value of cards in Lord of the Rings became largely meaningless. Arkham Horror takes that technology and gives it a new purpose: if you fully explore a location worth victory points, or if you defeat an enemy worth victory points, those victory points are translated into additional experience for each player at the end of the game. Win or lose, tackling the additional challenges of powerful enemies or dense locations is rewarded by additional customization and power, which is a very concrete reward. But not all campaign decisions come in the form of extra carrots. You might do things that subtly change the future scenarios in unexpected ways, like burning down a ghoul-infested house only to find that there’s now one fewer location available to find clues from in subsequent scenarios (but maybe you stopped the ghoul threat?). You might recruit potent allies that you can add to your deck, but they come at great cost or difficulty. Or you may encounter big, boss-like enemies that you must defeat… and if you fail, they’ll haunt you and reappear in later scenarios to make your life that much more difficult. You may even succeed (or fail) a scenario, but lose an investigator to damage or horror along the way. That investigator isn’t out of the story completely, as there’s always time to recover, but a defeated investigator will always continue with a physical or mental “trauma” that sticks with them as a reminder of their defeat. Being forced to play with one or more traumas, which permanently lower your health or sanity, can quickly make an investigator spiral into constant defeat and possibly even death or insanity. Asking someone to play a whole campaign is a lot to ask, however, especially as we see what are expected to be 9-part campaigns (one deluxe and six Mythos Packs). You might only have time for one game, or be at a game day featuring a new quest, and want to be able to play with random players whose decks you might not know. While I intend to make house-rules that allow investigators to go on “side quests” or even “side campaigns,” and carry all their boons and burdens they’ve accumulated into the pickup game, there are actually rules for playing scenarios as a standalone adventure. The rules for pickup games allow investigators to build decks with as much experience as they want… at a price. Theoretically you could even begin a campaign with these rules, which state that after spending a certain amount of experience building your pickup deck, you’re forced to add a corresponding number of random basic weaknesses to your deck. Since you can never build more than 30 cards into your deck, you could have 30 very powerful cards but have enough basic weaknesses so that they show up very often to slow you down. Whether that play mode takes off to accommodate pick up games or not remains to be seen, but it’s good that Fantasy Flight Games has provided the option. If this in-depth description of the game makes it sound appealing, welcome to the club. As someone for whom Lovecraft’s storyworld has been a defining feature, I can’t express how excited I am that this game is nearing its October release. As someone who loves building decks with stories attached to them, who loves cooperative games and wants his games to be narrative-first experiences, this is a perfect fit. And with the huge flexibility in scenario design (and campaign difficulty) that the Chaos Bag enables, I expect this to be a game rich with replayability and full of custom campaign potential. Look forward to more from this venue in the next couple months, likely shortly after Arkham Horror’s release discussing the full Core Set once it’s fully known. Hopefully this serves as an adequate intro to how the game is played, why it’s exciting, and give you ideas what strategies you might want to start employing. I, for one, intend to have four decks built at any given time should someone want to play. PS: If you’re itching for more prerelease content, or you just want to know who else is out there in the Arkham Horror LCG community, I recommend you check out the Arkham Horror discord channel and the Mythos Busters podcast. The option for pick-up play is something I’ve been wondering about. Campaign mode is cool and all, but there are folks like myself who gets together with fellow players maybe once every two or three months. On a good day, depending on success, we might be able to power through multiple scenarios in a campaign, but having the time and opportunity to play through a whole campaign with a consistent set of players seems it will be the exception, rather than the norm.